It’s gonna be surreal going to bed knowing we were given a glimpse at the be all, end all of the MCU today with Avengers: Endgame. The first look at the aftermath of Thanos’ snap is haunting through and through as we see our heroes at their lowest. And we’re here to analyze and break it all down. The trailer opens with a quiet bombshell: Tony’s still adrift in space with no food and water and his oxygen about to run out. A lot of fans were speculating that Tony would have been able to salvage parts from Titan for an easy way home but it’s clearly not the case. His nano-suit has been pummeled to bits at the hands of the Mad Titan and has barely enough power to send out an SOS. The true weight of Tony’s seeming fate can be felt through his parting bittersweet words to Pepper. Obviously, this isn’t the end of Tony. The big question is how he finds his way back to Earth. We’ve seen some leaked photos of Gwyneth Paltrow in the Rescue suit, a word casually mentioned by Tony in this trailer as well. If I had to make a wild guess, Pepper makes it to space with the help Friday and the Avengers and rescues Tony and Nebula herself. Thanos’ scarecrow costume was an easter egg at the final shot of Avengers: Infinity War but in this trailer we see the whole thing. We get a glimpse of the mangled gauntlet on Thanos’ hand as he walks through his field of artichokes. Could this be the scene leading up to the final shot of Infinity War? Thanos did seem pretty settled in as he smiled at the sunset. Seeing Captain America, the MCU’s paragon of hope and optimism, defeated and weeping is a powerful sight. Another big reveal in this trailer is Shuri’s disappearance. Angela Bassett said earlier this year that the Queen’s daughter likely survived the Snap though in retrospect it was likely conjecture on the esteemed actress’ part. With no other child left to take over the mantle, could Ramonda be crowned the Queen? We know M’Baku survived the snap so it’s possible for him to be the new ruler of Wakanda too. Thor in civilian garb tells me this is in Avengers HQ. We also see Nebula in what’s left of the Guardians’ ship The Benatar, presumably with Iron Man. 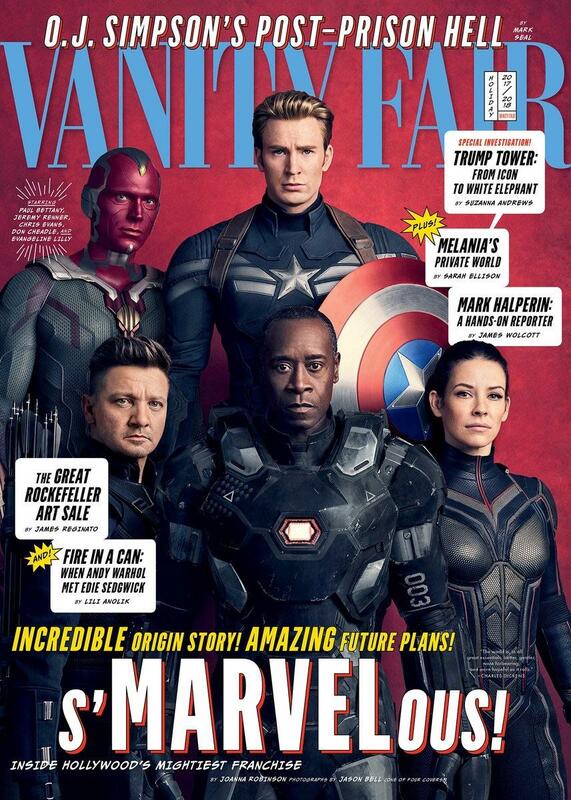 Noticeably absent among the survivors is Rocket and Rhodey. Yeah, seeing all the Avengers is cool and all but the true money shot of this trailer is the first freaking look at Ronin in the Japanese set. As the site who was the first to report this to the world as an exclusive scoop back in September of last year, it’s incredibly cool to see it all happen on screen. Ronin’s whole get-up looks absolutely amazing and that one look by Renner tells a lot about his current situation along with Cap’s line about losing family. As we originally hinted in our OG report, the then-unknown dark ending of Infinity War would be the impetus to Barton’s transition to Ronin. We can’t imagine the horror in Clint’s eyes seeing his family turn into dust. Steve’s back in the stealth suit which was something they teased back in the Vanity Fair shoot last year that no one realized was for this film. Seeing Nat in her blonde undercover look (and not the braided red hair as seen in the concept art) does make us wonder whether they’re still on the run at the start of this film. I theorized some time ago that Ross would play a part in setting up the stage on how the status quo could be; Thunderbolt Ross gets spared from the Snap while his daughter Betty Ross isn’t and he’s pissed at the Avengers for allowing it to happen and chasing after them. A lot of people have pointed out parallels to this scene of Steve looking at Peggy’s photo in present day with Steve looking at Peggy’s photo as he’s about to crash his plane in Captain America: The First Avenger. Foreshadowing of a sacrifice he’s going to make? Also, Cap’s speech is as Captain America as it can be. I love it to bits. Finally, the trailer ends with its one semblance of hope: Ant-Man. Scott Lang makes his way to the other side of the Quantum Realm, appearing in an unfamiliar future. Scott mentions meeting Captain America “a few years ago,” which to us means a 4-year difference at a minimum. Could be wrong on that but we’re guaranteed a time jump that’s for sure. Overall, it’s an incredible trailer. There’s almost so little to go on with yet so much to take away. You know they’ve done a great job when they give you a trailer devoid of any action with mind-blowing visual effects that hooks you on the character dynamics alone. What did you think of the trailer? Any cool stuff you spotted that we missed? Let us know in the comments below!